What Does Code P0591 Mean? 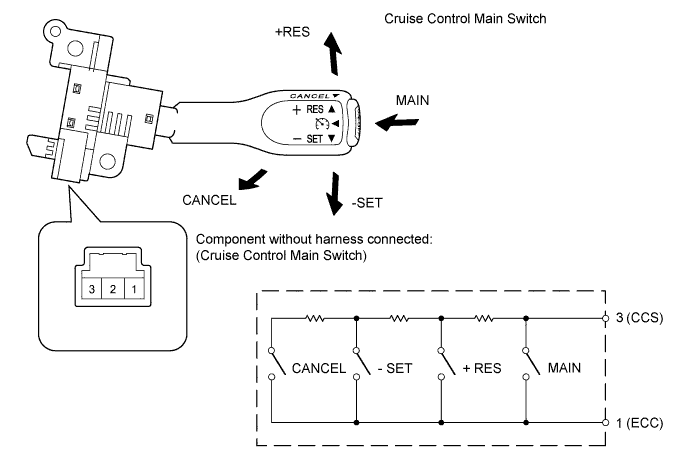 Many modern vehicles come with cruise control systems (CCS), which sets and maintains vehicle speed. Some CCS can be set to maintain certain distance behind the lead vehicle, and can even autonomously brake in case the lead vehicle suddenly slows. On long commutes, CCS can improve traffic flow and fuel economy, as well as make it easier on the driver. The CCS may or may not be integrated with the engine control module (ECM), usually depending on whether or not the vehicle is equipped with an electronic throttle control system (ETCS) or “fly-by-wire” throttle. Regardless of type, the CCS monitors driver input, usually via a multi-function stalk or buttons on the steering wheel, and vehicle speed, modulating throttle position to maintain vehicle speed. Advanced systems may also monitor, via sonar or laser ranging systems, vehicles in front, to maintain following distance, and may also modulate electro-hydraulic braking. What are the common causes of code P0591 ? Depending on year, make, and model, DTC P0591 may have number of causes. Here are some of the most common. Chrysler Products – Jeep, Dodge, and Chrysler vehicles have a few TSBs (technical service bulletins) related to this DTC. Barring actual switch and circuit faults, reflashing the ECM fixes the problem. 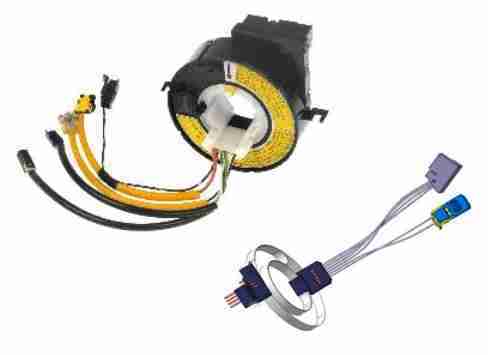 Spiral Cable – Most vehicles mount the cruise control switch on the steering wheel, all circuits of which pass through the clock spring. Circuit faults in the clock spring itself are a common fault, which may affect more than one circuit. If you have multiple steering wheel control failures, such as in the cruise, headlights, airbag, or audio controls, the clock spring may be the common denominator. Do not attempt to disassemble the clock spring unless you are ready to replace it, as they are practically impossible to repair or reassemble. What are the symptoms of code P0591 ? Depending on system design, the ECM may only lock out CCS function when this fault is detected, leaving the rest of the vehicle to function normally. Other vehicles may also illuminate the malfunction indicator lamp (MIL) and put the powertrain into open loop or “limp-home” mode. If this is the case, you may experience poor engine and transmission performance and reduced fuel economy, in addition to CCS being locked out. How do you troubleshoot code P0591 ? Generally speaking, range and performance codes are the result of a sensor or switch reading outside of what the ECM expects to see. In the case of the CCS multi-function switch, the ECM expects to see a neutral position when the key is first turned on. If it sees anything else, such as no signal or two positions at once, which is outside of what the switch is capable of, the ECM determines that there is an open or short circuit. You’ll need a DMM (digital multimeter) and model-specific electrical wiring diagram (EWD) to diagnose this problem. Caution: Because the CCS switch is typically mounted on the steering wheel, you may have to remove the driver’s airbag to access the switch for testing or replacement. Done improperly, this can be dangerous. If you do not have the training and tools, it is typically recommended to leave it to the professionals. Because the airbag circuit passes through the spiral cable, do not attempt to circuit-check the spiral cable unless the ignition is off, battery disconnected, and all connectors disconnected. General Checks – Check fuses, wiring harnesses, and switch for chafing, pinched wires, or obvious damage. Check connectors for bent or broken pins or corrosion and that they are firmly seated. Repair or replace as necessary. Circuit Check – Depending on the vehicle, you may need to do resistance or continuity checks. Some switches use just two pins, each switch position applying a different resistance value to the circuit. Other switches use multiple pins, each switch closing or opening circuits. 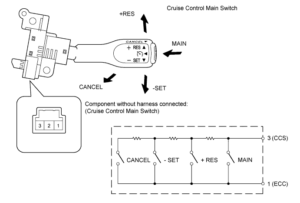 Check your EWD and repair manual to be sure which method your vehicle’s CCS switch is using. If continuity or resistance is incorrect, suspect a faulty switch or spiral cable. Repeat the check at the switch itself. If switch continuity or resistance is correct, suspect the spiral cable. You can check all circuits in the spiral cable end-to-end, but make sure the ignition is off, battery is disconnected, and all connectors are disconnected. If switch continuity or resistance is incorrect, replace the switch. None found. Ask a question about P0591. We’ve just gotten up an article that might help you work through a diagnosis of this problem. I think the first thing I might do is check with your Dodge dealer to see if there’s a PCM reflash that covers this fault. Also, what year is your car?